I have been going a little crazy lately, I have been with out water for about 3 to 4 weeks, due to my main water line being broken, so I have been STRESSED TO THE T. So as you know I have been a little moody lately.My point I am trying to make is that Felix Rivera was very patience and understanding of everything, he made sure that everything went smooth for me and made sure that I understood everything that I needed, one of the most patience plumbers that I have met. 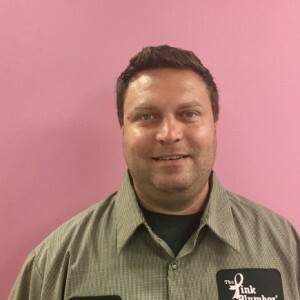 Great customer service, outgoing and a pink plumber always with a smile is great for me.Also Carlos was a great and amazing as well, both plumber i will recommend to any one.I had the house from Hell and they managed to repipe my whole house with a smile. Very satisfied, courteous experienced professional, very clean. Definitely have found my go-to plumber!! 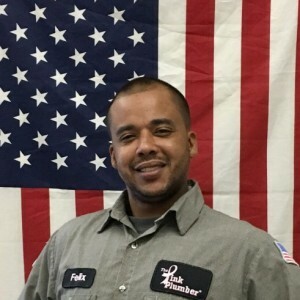 Felix Rivera really showed excellent customer service, and he was very professional. He was very knowledgeable in answering my questions, and was very helpful. Extremely quick response. Felix did an exceptional job. Over and above all expectations. My service pro, Felix R., went above and beyond the call of duty when he came out to fix the problem I had. He actually found a problem that saved me a substantial amount of money. Thanks Felix R., of The Pink Plumber. The service pro Felix R. went above and beyond what I called him out for. He actually went around and checked the other water sources and found a major problem I didn't know existed. Saved me a substantial amount of money. Felix R., a great service pro. Felix was very professional explaining my options technically and provided me with a number of financial options. The installation work of changing out my hot water tank and water softener were excellent. Efficient, knowledgeable, courteous, to have a man of his skill efficiently solve our plumbing problems. He left the job cleaner then he found it. I have already recommended Pink Plumber to two friends due to Felix and his professional help. I contacted several other Plumbing Companies before deciding on The Pink Plumber. My deciding factor was that, although they did charge a service fee, it was a lot more reasonable than the rest. I was able to get an appointment the very next day! The technician who came to my house was very professional and courteous. He explained what every thing would cost, up front, without being patronizing or condescending about it. Another thing he did, which I have not observed before, is that he had his helper remain in the vehicle until after I had made the decision to have the work done. I appreciated not having two strange men in my house until I was sure I wanted this company to do the work. Felix R. went above and beyond for me. He was prompt. He was here when he said he would. The quality of his work is EXCELLENT! I would recommend him to anyone! Felix went above and beyond for me. He did an EXCELLENT job! I would refer him to anyone. He's always on time. That's what I like the most! Was very pleased with the response and service i received regarding a water heater replacement. Felix was very personable and professional and got the job done in a timely manner. I would recommend Pink Plumber to anyone needing their services....and have them request Felix for a good job. The service provided by Felix was Impeccable. Felix insured I knew step by step what the route cause of the Hot water heater not working properly. Problem solved an solution forthcoming! Felix came by again to provide maintenance on my water softener. He was extremely professional and your are very fortunate to have him as the representative for your Company.